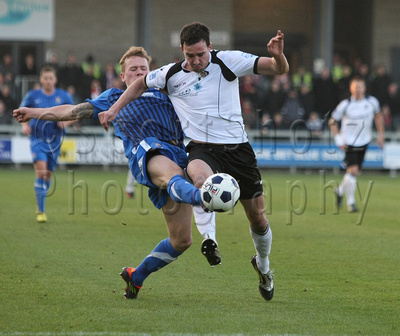 A first meeting of Dartford and Lincoln City is going to be one that Dartford are not going to remember with pleasure. The home team were 4:0 down at half time. They were certainly off form. It ought to be noted that Lincoln City collected FOUR yellow cards in the match, while Dartford had only one. 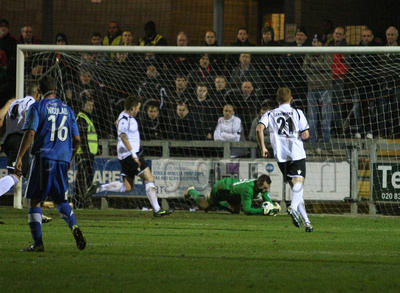 Dartford pulled back 2 goals in the second half, but it was always going to be nigh on impossible to pull back four. Dartford have now dropped down a place, out of the play-off places, but there are still plenty of matches left to play. The Lincoln Imp is the symbol of the City of Lincoln, the county town of Lincolnshire. According to a 14th-century legend, two mischievous creatures called imps were sent by Satan to do evil work on Earth. After causing mayhem in Northern England, the two imps headed to Lincoln Cathedral, where they smashed tables and chairs and tripped up the Bishop. When an angel came out of a book of hymns and told them to stop, one of the imps was brave and started throwing rocks at the angel, but the other imp cowered under the broken tables and chairs. The angel turned the first imp to stone, giving the second imp a chance to escape. Lincoln City FC has as their mascot ‘poacher the imp’. I can’t quite make the connection, but apparently this fusion of poacher and imp comes from the poem/song which is reputedly the national anthem of Lincolnshire and is about the joys of poaching. Oh, ’tis my delight on a shiny night in the season of the year. I looked at their website, it has just the sort of bad design that makes me want to immediately go elsewhere, and that they have as their page <title> ‘home’. I hope they didn’t pay a professional to come up with that. Their site is full of stuff that moves around, making me quite dizzy. A sliding door slideshow, text that moves, silly adverts that jump about. But enough of that. This match was a segregated affair. There were some 1400 supporters, a fair number from Lincoln who made almost as much noise as the Dartford boys. Both teams played hard, the ground was a bit muddy and slippery and I couldn’t help but notice the amount of aerial football that occurred. Reminded me of a game of ping pong at certain moments. I could hear comments from the spectators behind about ‘keep the ball on the floor’. Dartford had a fair few chances at goal, but for some reason they just couldn’t fit the ball between the posts, it went wide, it went over, or it got saved. Lincoln, on the other hand, managed to get past the normally invincible Marcus Bettinelli. Its going to be interesting finding out whether its Mansfield or Lincoln City who face Liverpool in the FA Cup third round. There is a replay to come, then the team that goes through will have a major opportunity. As someone said to me, “the way Liverpool are playing, they could be easily beaten”. We will have to wait and see on that score. Update: Mansfield beat Lincoln 2:1 at the reply, so Mansfield will host Liverpool. ← Lambs doing the slaughtering for a change.